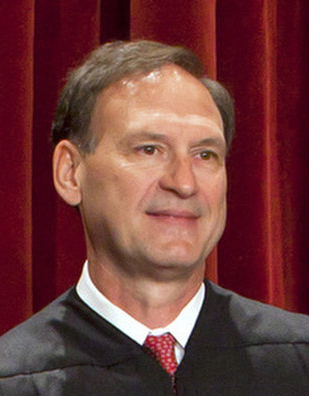 U.S. Supreme Court Associate Justice Samuel A. Alito will receive an honorary degree at the Concursus ceremony May 17 at St. Charles Borromeo Seminary, Wynnewood. Concursus is the seminary’s annual graduation ceremony where academic degrees are awarded to seminarians as well as religious and lay students enrolled in its college and graduate degree programs. Alito will be awarded a Doctor of Humane Letters degree, honoris causa, and will give the Concursus address. Past recipients of the seminary’s honorary degree include St. Teresa of Calcutta, Judge Genevieve Blatt, William Fishman and Pennsylvania Chief Justice Robert N.C. Nix. Alito joined the Supreme Court in 2006 after his nomination by President George W. Bush. St. Charles Seminary, founded in 1832, forms men for the priesthood and permanent diaconate in the Archdiocese of Philadelphia and trains lay people through accredited graduate, undergraduate and certification programs, as well faith formation and enrichment. The seminary is currently experiencing an enrollment surge in seminarians with increases of 20 percent and 13 percent in the last two years.